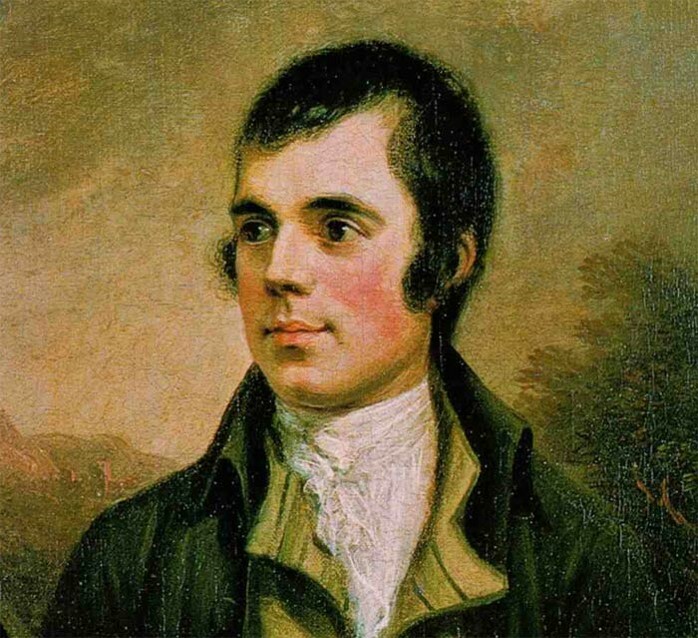 Robert Burnes, the writer of the Scots poem “Auld Lang Syne”, is born on 25 January 1759 and died on 21 July 1796. This Scottish poet and lyricist is seen in Scotland as a national poet. He is the best known of all for his poems in Scots language. He also wrote in a light Scots dialect but much of his writings were in English. Auld Lang Syne was written in 1788 by Burnes but in fact he didn’t invent the whole song. 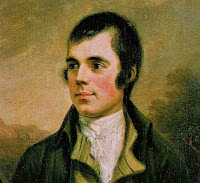 He’s the first known person who wrote down an older Scottish folk song and he sent his version to the Scots Musical Museum with the remark: "The following song, an old song, of the olden times, and which has never been in print, nor even in manuscript until I took it down from an old man’’. 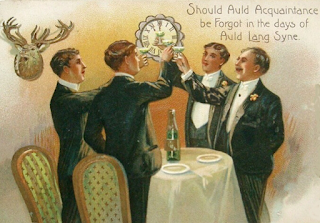 Auld Lang Syne means in fact "old long since" or "long long time". It could be dated back to the 15th century and was used in the 16th and 17th century too. 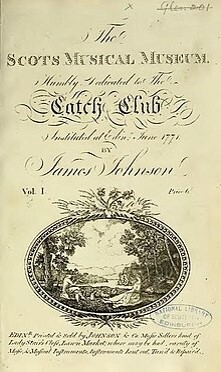 After that it has been printed in 1711 by James Watson. The song has a Scots folk melody and this melody is similar to the overture of William Shield’s opera Rosina. Maybe was the poet inspired by it? This melody is also similar to this of ‘God Save the Queen’. The song begins with a rhetorical question. ‘Is it right that old times be forgotten?’ The answer to this is the most of the time interpreted as a call to remember friendships that are lasting since a while. 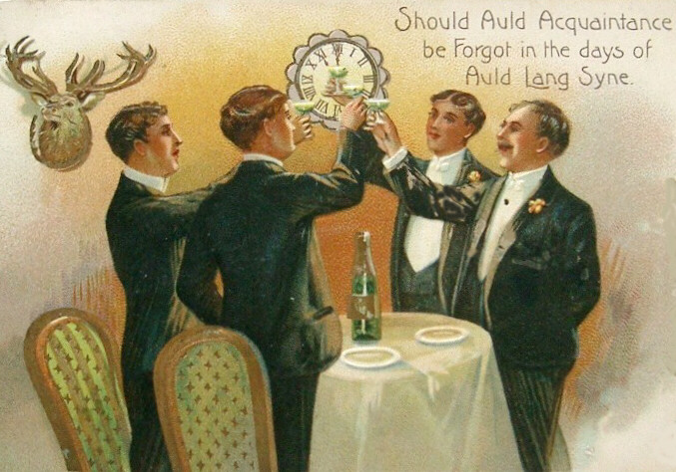 "Auld Lang Syne" is first of all sung at New Year Eve. In Scotland it’s the tradition to dance: they join their hands with the people next to them and form a circle. At the end of the song, everyone heads to the centre. People are enjoying the moment and are taking pleasure in doing it.The song is there at New Year also to keep friendships in heads. But also to remember the good deeds and wills they had or made in the past year: it’s a toast for all the accomplished things. In the Maldives and Korea, the tune has been used for their national anthem. It’s also used for hymns in sporting clubs and in memorials of Robert Burnes.In Japanese department stores, they play the song at closing time to remind their costumer politely to exit. The song is sometimes used at funerals and graduations. They remember old friends as time marches on. The song has been recorded in other languages, in other styles by other singers. We can find for example, Guy Lombardo and His Royal Canadians who popularised the song in the States. But next to it, we have the French translation we all know, ‘’ce n’est qu’un au revoir’’. There are also many covers: Jimi Hendrix (1970), The Beach Boys (1983), Aretha Franklin & Billy Preston (1987), Barbra Streisand (2000), Mariah Carey (2010),... Finally, it has been ‘nationalised’ in the East thanks to Korea, Japan, India, China and other East Asian countries. ‘Auld lang syne’ is a song that influences music and that appeared in films since a while. It touch a lot of people all over the world thanks to the lyrics and gives lots of memories. This song is an icon of the Anglophone culture because It’s an old Scottish and historical song but also tradition. After a short among of time it became a global phenomenon and is now also used to be song in each English cultures on New Year Eve.